ASAP Utilities for Excel – Blog » For developers; Application.Version returns 16.0 for both Excel 2019 and Excel 2016…!? 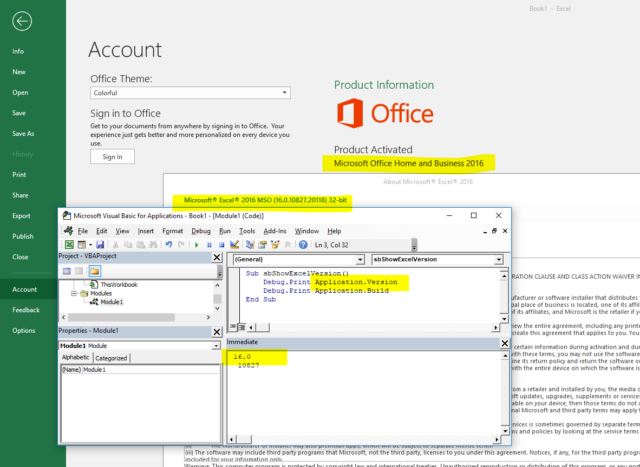 Is Excel 2019 just Excel 2016 with a new name? Excel developers can use the command "Application.Version" to get the version of Excel. 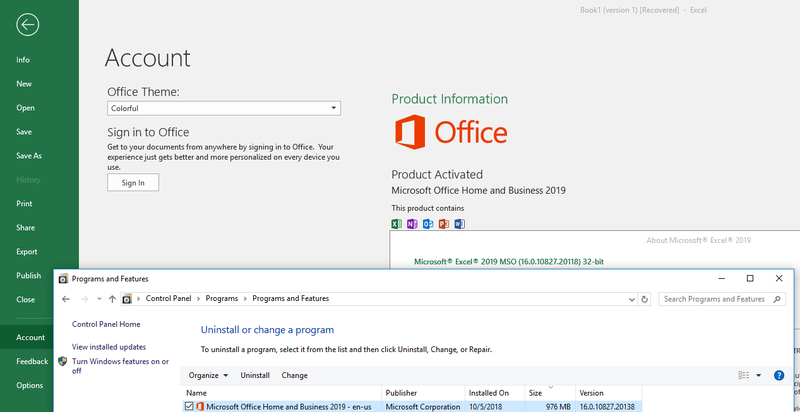 However, the new Excel 2019 returns the same version number as Excel 2016 (16.0). 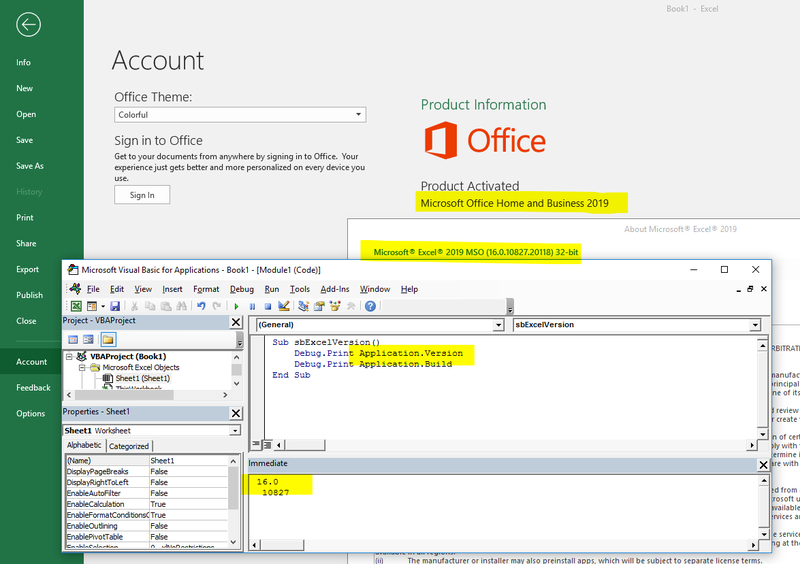 We expected Excel 2019 to return the number 17.0 (or 19.0) but certainly not 16.0. We recently purchased and installed the new Office 2019 in order to (successfully) test ASAP Utilities with it. 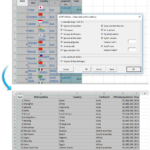 To our surprise, we noticed that the new Excel 2019 internally still shows the number 16 as the version and not a higher number such as 17 or 19. The command "Application.Version", returns 16,0 for both Excel 2016 and the new Excel 2019. And the command "Application.Build", also returns the exact same number when the latest updates are installed. Has Microsoft forgotten to update the internal version number in Excel 2019? Based on the detailed version numbers (16.0.10827.20118), it seems as if Excel 2016 with the latest updates is exactly the same as the new launched Excel 2019. Although we did notice that Excel 2016 with the latest updates is missing some features that are new in Excel 2019, such as funnel charts. 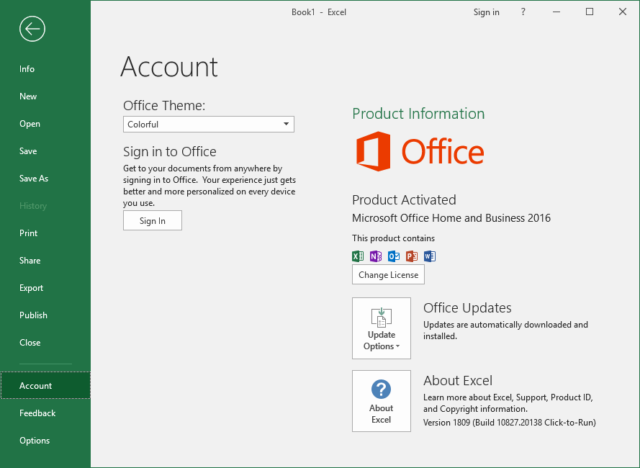 This makes us wonder if Microsoft has forgotten to update the internal version number of Excel from 16.0 to 17.0? Can you please check and report back, does 2019 have 19.0 or use 16.0.